5 Books Making News This Week: Money for Poets! The $100,000 2018 Kingsley Tufts Poetry Award, conferred at Claremont Graduate University to celebrate a mid-career poet, goes to Patricia Smith for her “powerful exploration of violence and loss in African American communities,” Incendiary Art. Donika Kelly has been chosen for the $10,000 2018 Kate Tufts Discovery Award for “the menagerie of startling creatures” in her Bestiary. The American Library Association’s Carnegie Medals go to Jennifer Egan for Manhattan Beach (fiction), an “insightful and propulsive saga [that] portrays complex and intriguing individuals navigating the rising tides of war,” and Sherman Alexie for You Don’t Have To Say You Love Me (nonfiction), “a courageous, enlightening, anguished, and funny memoir told in prose and poetry that pays tribute to his Spokane Indian mother and reveals many complex traumas and tragedies of reservation life.” The 2017 Agnes Lynch Starrett Poetry Prize goes to Tiana Clark, whose collection I Can’t Talk about the Trees Without the Blood is scheduled for publication by the University of Pittsburgh Press in Fall 2018. The shortlist for the Etisalat Prize for best first book by an African writer includes two Nigerians—Ayobami Adebayo’s Stay With Me and Lesley Nneka Arimah’s When a Man Falls From the Sky—and South African writer Marcus Low’s Asylum. Amy Bloom’s re-creation of a romance between Eleanor Roosevelt and Lorena “Hick Hickok is “audacious,” Lisa Halliday’s first novel is a “masterpiece,” Verónica Gerber Bicecci writes a “spare, artfully constructed meditation on loss,” Anne Raeff’s new novel spans six decades, beginning in postwar Berlin, and “the godmother of literary bad girls” Kate Braverman is back with a third collection. 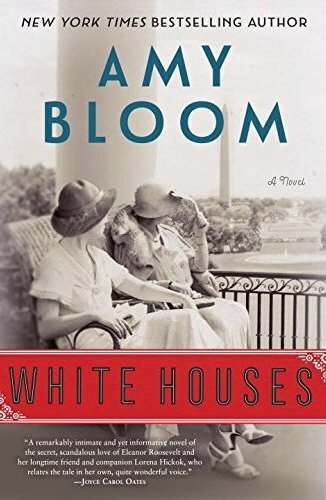 Bloom’s latest novel is inspired by a little-known chapter in White House history, the romance between Eleanor Roosevelt and Lorena Hickok. The novel was just optioned for TV by Michael Lombardo and Jane Anderson, the team who made the Emmy award-winning HBO miniseries from Elizabeth Strout’s Olive Kittredge, with Bloom set to write the script. 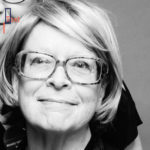 The leap from the novel’s first section to its second is so great, and yet so intuitively logical, that it forces the reader to rethink the Alice section entirely: It is now clear that she is not a version of Lisa Halliday, but just one of the many voices Halliday can invent, if she chooses. 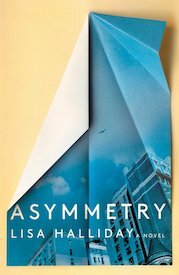 In its subtle and sophisticated fable of literary ambition, and the forms it can take for a young woman writer, Asymmetry is a “masterpiece” in the original sense of the word—a piece of work that an apprentice produces to show that she has mastered her trade. Gerber Bicecci’s first novel was inspired by Argentina’s “disappeared” in the 1970s; she uses Venn diagrams as a structural foundation, and draws upon her training as a visual artist. “With Empty Set, I wanted to use drawings and text, trying not to convert drawings in illustrations but as part of the story,” she tells The Rumpus’s Lisa Siegel. 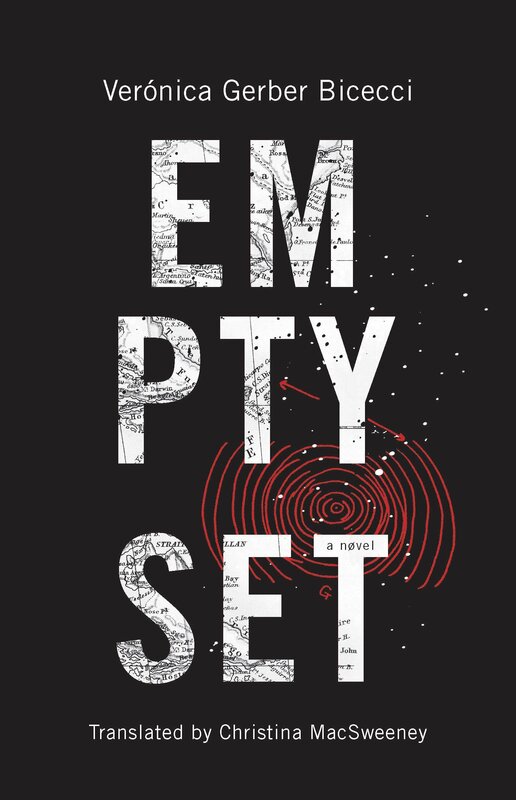 “A smart story of love and loss with a clever mix of narrative techniques, Empty Set may be an antidote to the current climate of despair,” writes Lisa Fetchko (Los Angeles Review of Books). Isaac, Leo and Ulli meet in a bar in postwar Berlin; Raeff’s second novel follows them across six decades, from Manhattan to Los Angeles to Morocco. 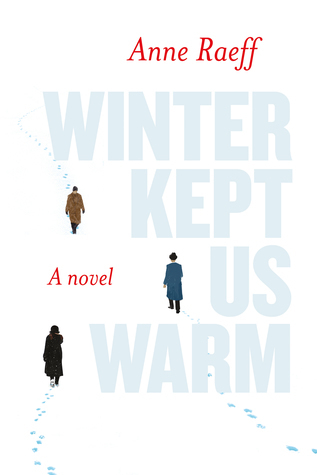 “Winter Kept Us Warm is deeply concerned with what makes a family, with inevitable, unanswerable loss, with the intricacies of language and time; love and war, friendship, the life of art and the imagination, and always (borrowing from Yeats) the quest of the ‘pilgrim soul,’” writes Joan Frank (San Francisco Chronicle). 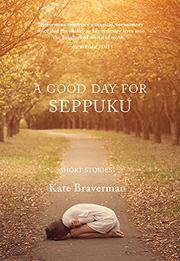 Much celebrated short story writer Braverman (Janet Finch calls her “the godmother of literary bad girls”) returns with a third collection of finely etched tales.